Finally after days of struggle to get Vodafone 3G on my Samsung Galaxy S, I have finally managed to get hold of a 3G signal in Pune(Thanks to Pradeep Neela). Although the signal strength seems to be poor at the moment, it will surely be better once they complete their testing and launch commercially from next month. To experience 3G you need to activate a 2G plan with a special recharge of Rs.95 which will give you 2GB worth of data access. You can enjoy 3G speeds on your 2G plan with no additional costs till 10th of April by simply sending an SMS "ACT 3G" to 144/111 this is a toll free no so you wont be charged for the SMS. The speed I'm getting at the moment is around 3Mbps to 4Mbps which is very good considering the fact that I'm not yet getting full signal strength. The upload speed is variable from 1Mbps to 2.8Mbps. 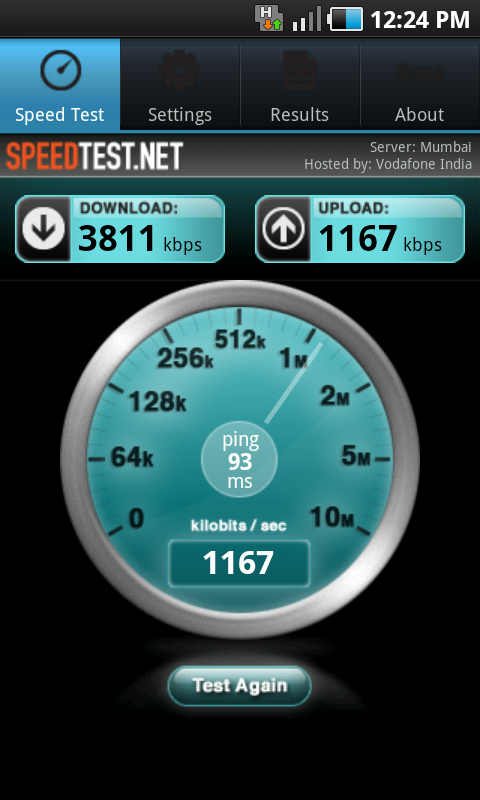 The speed will only go on increasing this point forward Vodafone India will offer 3G speeds up to 21Mbps. 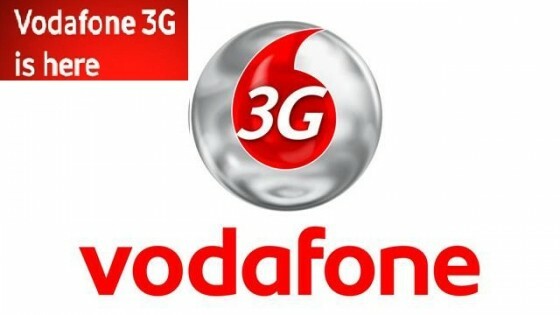 Note: Keep in mind Vodafone 3G is still under testing so you might not get 3G signals indoors. We still have no official confirmation on plans, tariffs for 3G & Video Calling etc. from Vodafone yet. This will be on their official site once they launch commercially. Good post!! Just hoping that the coverage improves in Pune! Hello Vodafone are you listening!! @Pradeep(Neal) Thanks man! Really hope it will improve!! Maharashtra & Goa customers are left with no other option than to rely on Vodafone for good 3G coverage! Please be assured that you will be able to enjoy the best of 3G services and speed post-launch. @Reputation I still don't get 3G coverage indoors :( I have be close to the window to get range in my house. By when can we expect seamless coverage everywhere(indoors/outdoors)??? Please be assured that you will be able to enjoy the best of 3G speeds and services post-launch.